At my first programming job, I met a colleague who took all his notes in XML. He liked the fact he could structure them well, create programs to search and process them, and display them in many different ways. Most importantly, he future-proofed his notes. Because they were structured, he could transform his notes into any new format. That was my first exposure into the world of productivity hacking. It’s about how to reclaim your email, your atten­tion, and your life. That “zero?” It’s not how many mes­sages are in your inbox–it’s how much of your own brain is in that inbox. Especially when you don’t want it to be. That’s it. I’ve been operating with the goal of Inbox Zero for many years. Like a dieter trying to lose weight, I’ve wavered from the paleo version (only focus on internal emails) to the SouthBeach (delete everything that’s more than 3 days old). And I’ve certainly regressed at times, letting that inbox count balloon. Inbox Zero is always in the back of my mind, every time I tap the Gmail icon. To attain Inbox Zero, I forward emails that I can’t answer immediately to a task list. It’s really easy now with the Front/Asana integration. There are two benefits. First, I can batch similar types of emails together - meetings to schedule for example. The second is more control over my time. When I’m in my task lisk, I estimate how long each task will take and prioritize them in a separate context. I’m prioritizing my work, not my inbox. Each evening, I decide the three or four key things to accomplish for the next day. Working that way for several months, I’ve come to the conclusion that Inbox Zero is necessary but insufficient to my productivity. 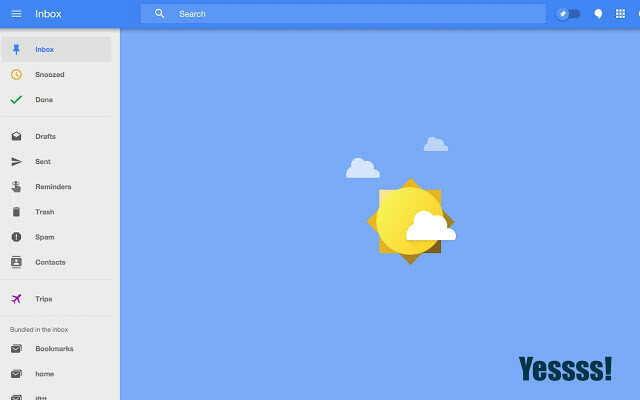 There’s a bigger objective than the cheerful sun Google displays when my inbox is empty. The better goal, the ultimate aim, is Task List zero: getting to the end of the day having completed the three or four most important goals. Part of determining those three or four things is parsing through emails and prioritizing them. The harder part is saying no to others. That’s the challenge about productivity that no framework, no software will ever truly solve. It’s the self-discipline of focusing on the 3 or 4 things that matter today that’s the hard part.